How Can This Service Be Free? Is 5kW the Right Size System for You? ■ Part or all of the system breaks down. ■ The system produces less electricity than promised. ■ The system is damaged by fire, flood, tree falling on it, or other event. ■ Your house (especially your roof) is damaged by the installation. Despite what conventional wisdom sometimes asserts, and solar vendors often claim, most solar equipment is subject to breakdown or under-performance way before the warranty period ends. In addition, the most common problem with PV solar is that the installation caused roof leaks. Some systems are installed with hundreds of roof penetrations, others with only a few. Some penetrations are merely caulked (which doesn't last forever), while others are properly sealed with metal flashing. These seemingly minor differences can turn into major headaches. The Solar Buying Guide - Step 2 explains how to protect yourself against some of these risks by choosing the right equipment in the first place, by obtaining the best warranty you can, and by insuring the system. More depth on these topics can be found under Solar Info, 2. Solar Equipment. It is important to know that warranties, performance guarantees, and insurance are a long way from complete protection. Even the better ones that come with leases and PPAs do not always protect you adequately against these risks. The Solar Buying Guide - Step 3 explains how to protect yourself against damage to your roof, electrical system, or other parts of your house by getting a top-notch installer.​ The full checklist for installers is at Solar Panel Installer Qualifications. 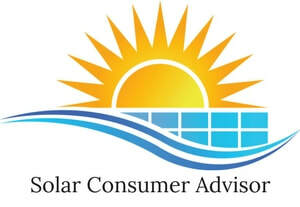 Our free Q&A and advice service is also available to all SCE homeowners. Please see the Home Page for details.